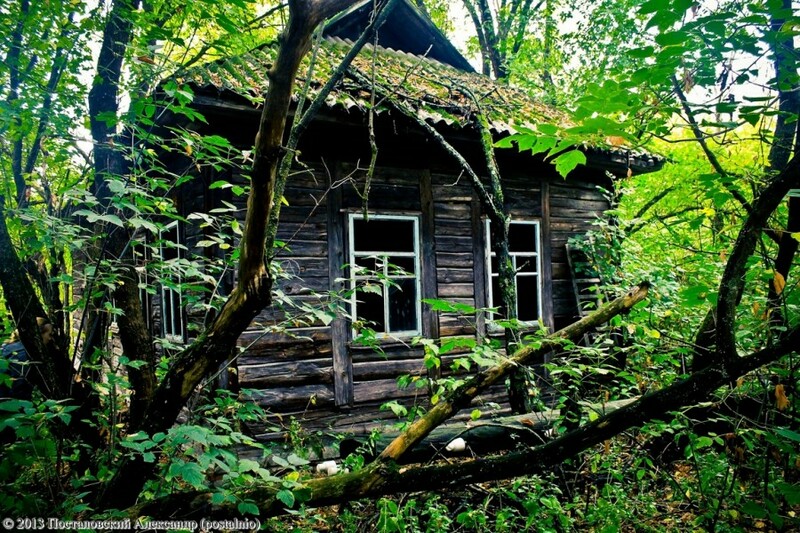 It is no secret that in the Chernobyl Exclusion Zone is really a lot of interesting places to visit. Especially because , since this year to the popular places famous "Douga" and the military town of Chernobyl-2 was added. However, among all objects of the Zone there are places that are kept apart from the rest. Here the atmosphere, which includes a symbiosis of abandonment and invisible human presence and Polessye nature coloring. Here, as nowhere else, it turns tragedy imbued with people who, because of circumstances were forced to flee their homes. Such mysterious and unique, colorful and unusual village of Chernobyl Exclusion Zone. If, for example, in Pripyat immediately after the accident, property and furniture of inhabitants in homes was a subject to recycling of destruction, many items in villages left locals in their homes, and left lying there since 1986. 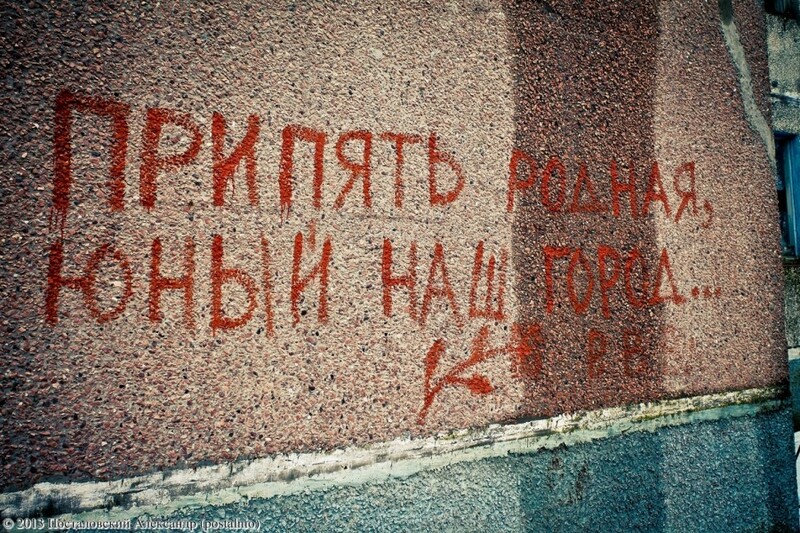 Perhaps it is why villages of the Exclusion Zone so attractive. This is an extraordinary museum of the Soviet countryside, located in ruins. Besides this unique nature of things here, which only adds to the overall picture of color perception from trips to the Chernobyl Zone. This material offered villages of the Zone photos taken during trips this year. I made me photos in the villages Zalesye, Kopachi, Ilintsy, Jampol. They are attracted by its silence and frighten their deserts. They are both dark and aesthetic. It is here, as nowhere else, there is an extraordinary atmosphere of abandonment, which, instead of repelling visually attracts more attention, causing the already huge interest in this unique place. Forever left a man, lonely and deserted neighborhood in the city of Pripyat. Chernobyl Exclusion Zone visitors often discuss among themselves on the most optimal season to visit Pripyat. Some people like to come exclusively during "the golden autumn" to contemplate the stunning yellow leaf cover in the city. Some prefer to come in the summer and in the beginning of September because they need weather comfort. 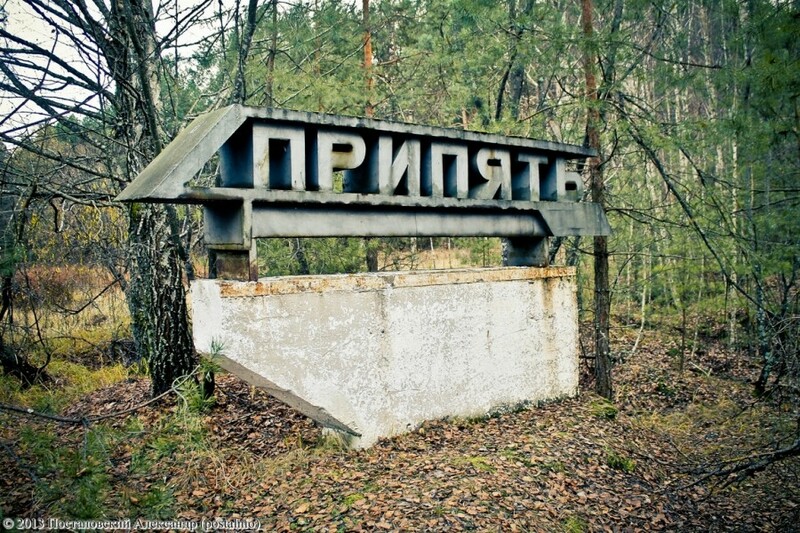 Many people visit Pripyat spring when the foliage has not yet started a merciless attack on the city. Everyone in this matter has its own preferences and tastes. Personally, I believe that Pripyat is beautiful in all seasons. There is absolutely dominant seasons, which will be clearly superior to all others. Each season has its own characteristics and uniqueness, which is not peculiar to any other seasonal time. Anyone interested in the city and in the whole Zone would have, in my opinion, to visit Pripyat in all seasons. It seems that you come to the same city, where there are so familiar buildings, but every time Pripyat with different... As if you come to the city for the first time! And still, despite repeated visits, keep discovering something new and unknown before. To understand the uniqueness of the landscape aesthetics of Pripyat, you must to see how the city looked like during the four seasons - winter, spring, summer and autumn. 19.11.13 The military town of Chernobyl-2 and "Douga"
Generally when talking about Chernobyl -2, as a rule, by this place understand the horizon radar "Douga" ("the Arc" in English), Indeed, "Douga" is a hateful hallmark of Chernobyl-2, which sets it apart from all the facilities of the Chernobyl Exclusion Zone (CEZ). The scale of construction, antenna height , a monument to the Soviet military force, the certificate of one of the most uncompromising of geopolitical confrontation between the superpowers. Ch-2 has always attracted the attention of these antennas can be seen in the CEZ from anywhere. For a long time the object was closed to the public, but since October 2013 it may be visited by everyone. 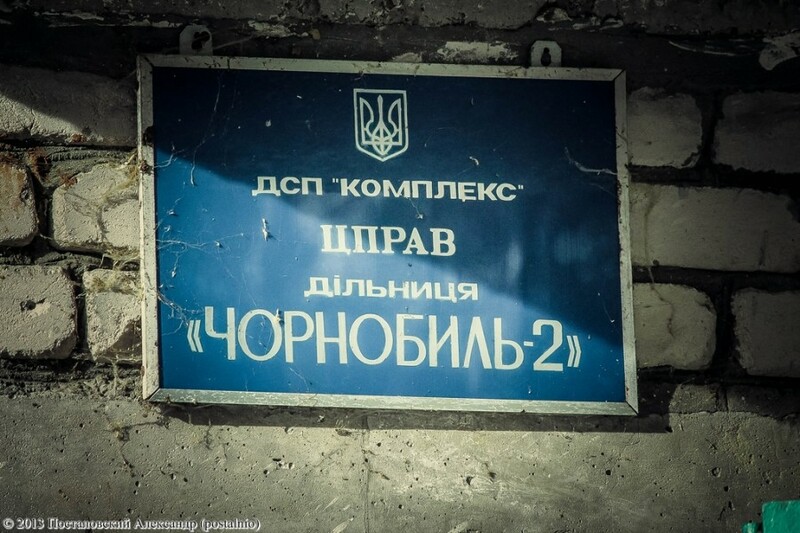 However, the Chernobyl-2, contrary to popular belief, it is not only "Duga", but also the territory of the former military unit with a small town where officers lived. A recent trip to CEZ allowed to collect a small photographic material on this site. November is the excellent time to visit Pripyat. At this time is not cold, the foliage finally left the trees, the snow and frost is still far. Desert Zone and the invisible breath of the abandoned territory of most acute just at this time. Post-apocalyptic aura and abandonment literally absorb a man in this place. It is my deep conviction that any person interested in the Zone, at least once in their life should go to Pripyat in early November. It was at this time, offering great views of the city abandoned, which can not always be seen in a different time of year. October 9 exactly a year since as the site of the Chernobyl Nuclear Power Plant broadcasting mounting and lifting of elements of the New Safe Confinement (usually called the Arch) was started. Translation is using a web camera SONY SNC-RZ25P, provided to the Station of the International Public Organization "Center Pripyat.com" . It's time to look back a little bit. In this article we can see that got into the lens of the first public webcams in the Zone this year. 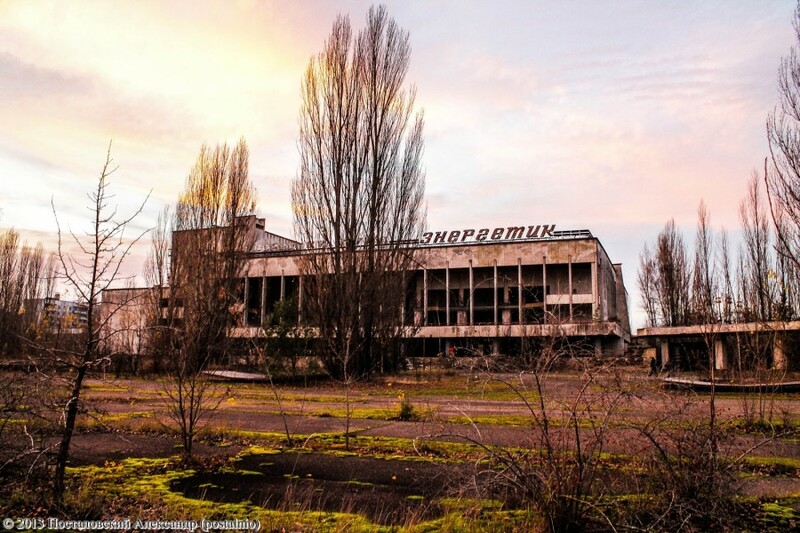 Chernobyl-2 is one of the most attractive, but at the same time, seldom visited sites of the Zone. Lying away from the traditional routes, it is still under protection and getting to it for an "ordinary man" is incredibly difficult. The appeal of Chernobyl-2 is explained within its territory giant antennas of the over-the-horizon radar "Duga-1." But not all happen to dream of being in the Chernobyl-2 and then to assess the extent of Soviet military power. Chernobyl-2 - this is a small town in which military and their families lived. Pripyat.com Forum participant Cyril (Комбат, i.e. Combat in english), who left Chernobyl-2 town in 1985, many years after visited their home. His small report will look at the Chernobyl-2 a very different view. 06.04.12 Alexander Sirota: CAN UKRAINE HELP JAPAN? In the wake of a trip to the Japanese disaster zone. Tokyo - Fukushima - Date - Minamisoma - FNPP - Itati - Fukushima - Shin-Yamaguchi - Ube - Miyajima - Hiroshima - Kyoto - Tokyo. Thanks to the members of Japanese society "Endomame" for many years helping victims of the Chernobyl disaster ", in March of this year I had the opportunity to visit the" Land of the Rising Sun. " This trip was a dream since the Soviet childhood. The only pity is that the reason for its implementation was the anniversary of the disaster at Japanese nuclear power plant "Fukushima", presented to the world at the 25th "anniversary" of Chernobyl. Ukrainian nuclear experts say Japanese evacuated from around the stricken Fukushima nuclear plant should be able to return to their homes — unlike the Chernobyl site, which remains inside a wide no-go zone a quarter-century after the accident there. A bitter dispute is raging over whether the fallout zone is a wasteland or wonderland. Now, a team of scientists is heading back into the contaminated area to find out the truth.